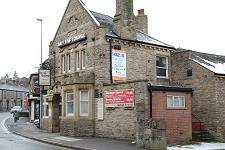 The old Waggon & Horses was transformed into the Bayleaf lounge, bar and restaurant serving delicious Indian cuisine. So good, in fact, that they won the Caterer of the Year for Northwest of England 2013 from the Bangladeshi Caterers’ Association! In 2017, the third planning application to re-develop this iconic old building was approved. The Bay Leaf will be closing during this period. Brews: John Smith’s and others. Food: The Bayleaf takes the very best of Indian cooking and mixes it with the contemporary style of today’s modern restaurant. Takeaway service also available – call in for a menu. Parties welcomed. Finding it: On the main road through Bollington, opposite the junction with Grimshaw Lane.